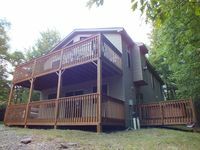 Property 6: Blakeslee Forest Retreat w/ Fire Pit & Deck! Property 7: A Great Place to Relax & Unwind- Superb 3 Bedroom Home w/ Private Beach Access! Property 10: The Outdoors Are Calling so Stay At The Acorn Cottage! Property 11: Mountain Top Chalet with Fantastic Views, Location, Location, Location! Property 12: The Lehigh Lodge - Featured in Philadelphia Magazine - Book Now for Summer! Property 15: Bucks Cozy Cabin Adventure! Property 17: Updated & Private Lake Harmony Home w/ Large Deck! Property 18: Plan a Pocono Vacation! Low Rates & Linens incl. Close to All Area Attractions! Property 19: Lake Harmony Condo w/Patio & Stunning Lake Views! Property 20: Secluded Mtn Cabin w/Deck - Walk to Lake Harmony! Property 21: Try some adventure or simply relax!!! Property 22: A Great Place To Spend Time And Make Memories With Your Family and Friends! Property 26: A Touch of Tuscany .... Welcome to the Pocono‘s!! Property 35: Beautifully furnished mountain house! Property 37: Rustic Lake Harmony Home w/Hot Tub & Wooded Views! Property 39: Retro-Styled Hideaway with Hot Tub. From Sand to Snow, Your All-Season Getaway. Property 42: Book Your Summer Escape without a Cleaning Fee! Property 43: Cozy Lake Harmony Condo w/Balcony on Boulder Lake! Property 45: Lakefront Lake Harmony Condo w/ View Near Skiing! 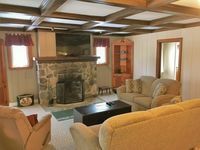 Property 46: 2 Full Baths, Sleeps 8 in Locust Lake Village. Book for spring and summer! Property 48: Lakefront w/Private Dock on Lake Harmony! Close to everything! Property 49: Lakefront--Hot Tub, Pool Table, Dock, Boats, WIFI-- !! Property 50: Perfect Getaway in Lake Harmony for All Four Seasons!